A huge percentage of the world's wildlife has disappeared. Catherine and Tom discuss language from this story. 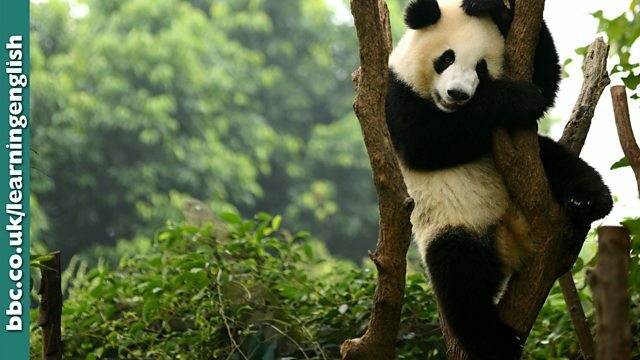 The World Wildlife Fund has released a report blaming human activity for the mass extinction of animals around the world. Many charities want to protect _____ animals. A new report has blamed mankind's overuse of natural resources for a 60% fall in the global wildlife population in less than 50 years. The conservation charity WWF said most classes of animals had suffered from unbridled consumption, which has triggered a mass extinction. • The number of wild animals has plummeted over the last fifty years. • The boys jumped off the rock and plummeted into the sea. • Some people have blamed runaway consumption for the loss of wildlife. • This government aims to deal with runaway inflation. • Dinosaurs were wiped out long before humans walked the Earth. • Debate continues as to whether climate change will wipe out human civilisation. There is a double letter in this word. What is the correct spelling of this word, which means 'suddenly becomes much lower; declines rapidly'? This phrasal verb means 'completely destroyed'. Choose the correct preposition: Thousands of trees were wiped _____ by the forest fire. Which word does NOT usually go with 'runaway'?